Cobra’s King Forged Tour Irons bear a striking resemblance to the Cobra Fly-Z+ Forged Irons from a few years ago. Cobra simply gave these irons a slightly updated look and added the single length option. 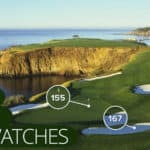 The strange thing about golf clubs is that the technology behind the club really doesn’t change much from year to year. Yes, trends enter the game (hybrids) die out and the comeback again. But you can basically lump a majority of golf clubs into three or four categories. 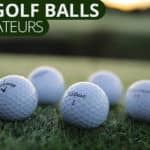 These golf clubs aren’t going to blow you away in any specific category, but they hold their own when compared to the best golf irons out there. We give Cobra a bit of a break when it comes to the look of these irons. They look pretty good in the bag and at address. In terms of design, they’ve actually been described as semi-cavity blades. That may not make a lot of sense to golf club design purists, be we will explain what we mean. The King Forged Tour Irons have a thinner top line, minimal offset, and a narrower sole than most pure cavity back irons on the market. The head size is also a bit smaller so they really do look like blade at address. 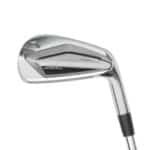 In this golf club, Cobra combined the forgiveness of a cavity back with some of the aesthetics of a traditional blade to give us the solid looking King Forged Tour Irons. The delicate balance between feel, feedback, and forgiveness on off center shots is constantly on the minds of golf club engineers. 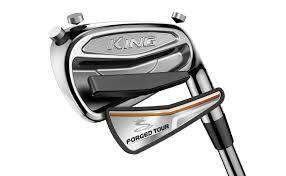 King Forged Tour Irons come pretty close to finding equilibrium between these variables. 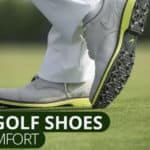 The golf clubs give you great positive feedback on mishits. Positive feedback means knowing that you missed the sweet spot on a given shot. This is an incredibly important trait in a golf club. If you can’t feel your mishits, its harder to diagnose what you’re doing wrong. 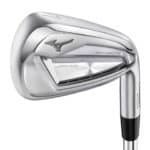 In addition to great feel, the cavity back element of these golf clubs gets the ball near the target on mishits. This is one of those happy win-win situations. It’s obviously better for you to understand your mishits and to be on or around the green. The King Pro Tour irons are a great option for good golfers. 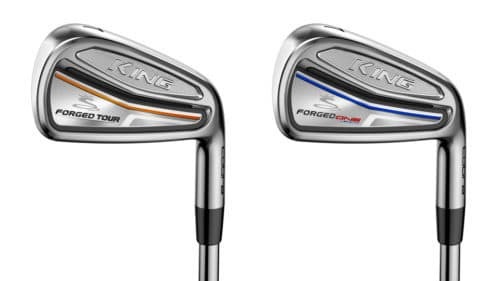 Although they are forgiving, King Forged Tour Irons by Cobra are better designed for lower handicap golfers looking for a bit more forgiveness. These golf clubs are a great improvement on a set of older irons. 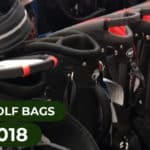 With the addition of the single length golf clubs for those looking for consistency, these are a great option and rank among the best golf clubs available.